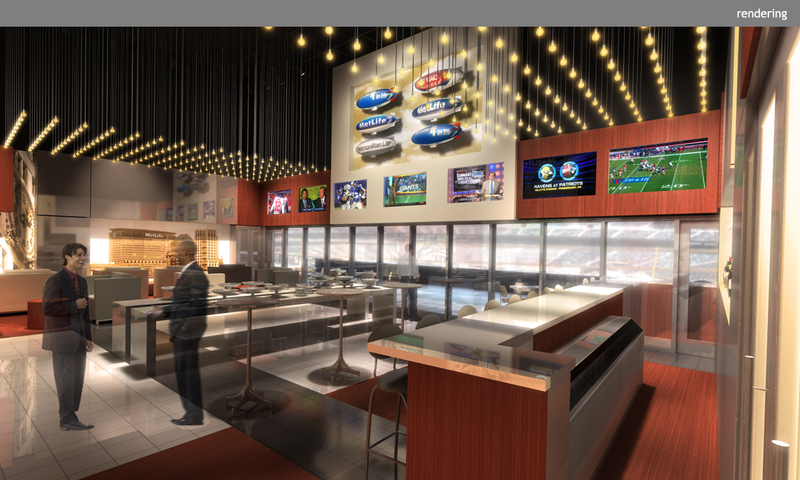 Every fan’s dream-come-true! 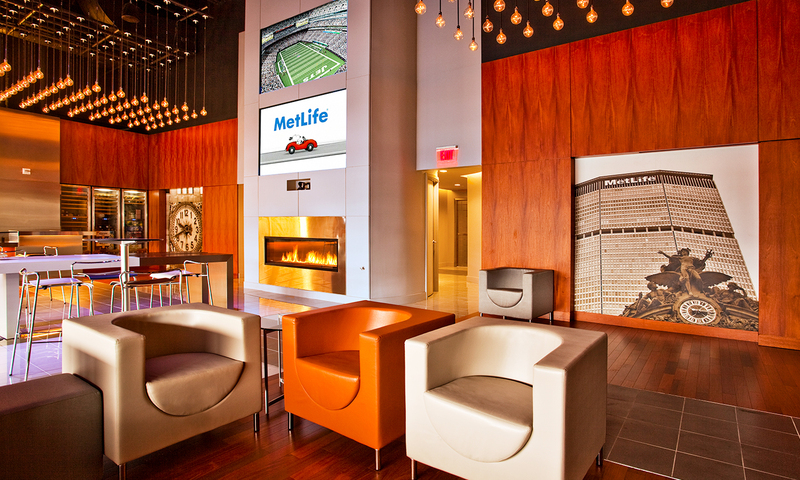 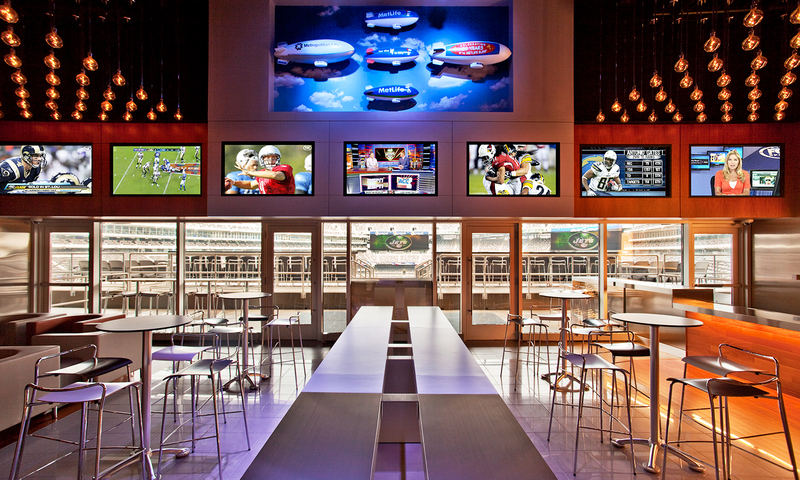 The MetLife corporate suite is an exclusive gathering space in the MetLife Stadium at the Meadowlands. 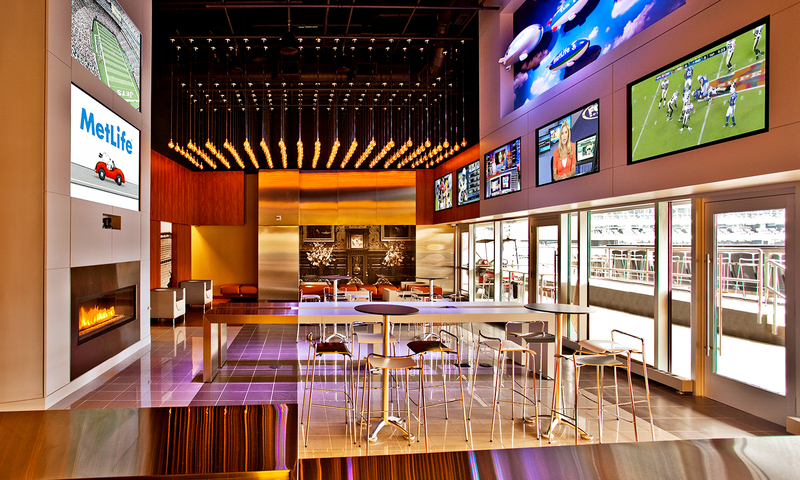 The design immerses guests in iconic imagery of MetLife’s venerable history, while celebrating the spirit of game day. 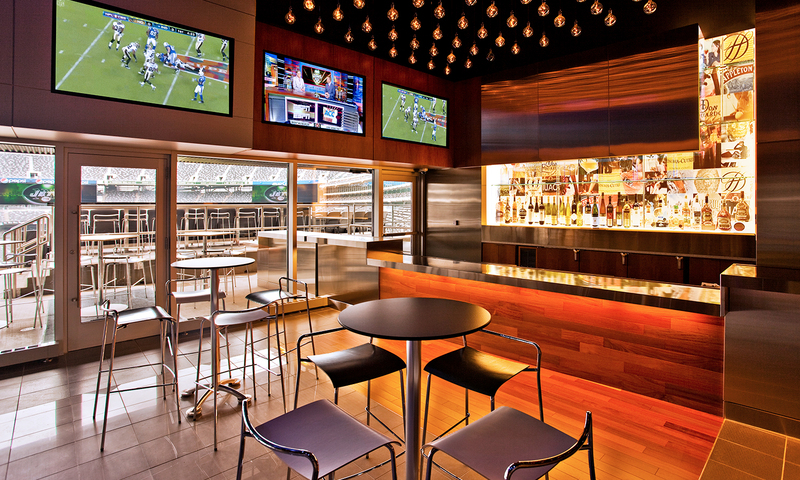 The indoor-outdoor suite is in use during scheduled NFL games and special sports and music events.